2 How to call to Ukraine mobile phone? Approximately at 2000 year Up to Ukraine became treated as international calls and to implement it took the introduction of some rules. 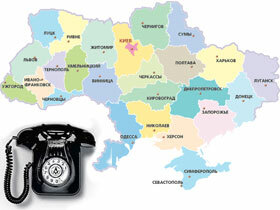 Like today to call on Ukraine to mobile, landline to landline and mobile? Let's learn together. To start to define the purpose of your call. Check the rates, offered by the mobile operator and fixed communication operator for international calls to Ukraine. If the purpose of the call is to report certain information and call duration will not be long, you can choose to call from mobile phone. If you are going to call on Ukraine to relatives, then the conversation will be long. In this case, it is more logical to use fixed telephone. Note, that the code of Ukraine +380, and telephones in the country's cities are seven-digit, five-digit or six-figure. Therefore it is necessary to remember this moment, if the subscriber number consists of five characters, then immediately after entering the area code you have to add the “2” or “22”, depending on the length of the area code. For some people to make an international call from a landline to a mobile is not possible. It is a common belief strengthened among the elderly, do not have on their telephones more than numbers buttons. Indeed, how to dial Ukrainian mobile from a landline phone, if “+” dial will not work, but 8 is no access to the international network? To enter the Ukrainian network is to type 8-10. Then dial the country code 38. The next step is the area code or operator (the first three digits of the mobile number). And the final stage gets phone number. If done correctly, the call to the mobile home to Ukraine is not so difficult. If you call the number on the Ukrainian, It is outside of the Russian Federation. For this purpose, instead of the combination 8-10 nabiraete 00 Drives a further country code number, city ​​and phone. How to call to Ukraine mobile phone? Make, that your room enough funds. Dial +380. You drive a further phone number. If you call to Ukraine from abroad, after + dial “00” – to enter the country code. 38 and add the number of the subscriber. Remember, that international communication is more expensive in some times, than the link provided within the network. Put a lot of money just in case on your phone number. To reduce the cost of the call to Ukraine, you can take advantage of special international cards. Each card has a nominal amount of minutes offered. Buy this card can be in communication offices, or pay through ATM. To activate the time, recorded on the card, you must enter a phone specific password, which is on the map. In our fast-paced age of technology is not standing still. With the advent of the Internet many of the functions of everyday objects flow into the World Wide Web network. So, when installed on a computer program Skype, you can communicate with relatives around the world and at the same time good save. With Skype you make calls to mobile and landline phones anywhere in the world. Through Skype, you can customize the video call from one computer to another. On Skype can build communication as chatting, in real time. For an international call to phone Ukraine with Skype you have to make sure, that the account is sufficient for the call money. Secondly, you need to connect a microphone and headphones to your computer. Now type on the keyboard “+”, “38”, “subscriber”, and wait, when at the end of the communication tube lift. Now you understand, that the issue, how to call to Ukraine mobile, City on a landline or mobile phone is nothing unusual or complex. Let us once again go over the instructions points. 38 - the international dialing code of Ukraine. If the call is made from abroad, instead of“+”, dial “00”. You do not know, where on mobile “+”? it's easy – press twice or hold down the “*”. Recruit 8-toot-10-38 code city phone number,. If the dialed number is less than 7 characters, added to the code of the city “, until we get the seven-digit subscriber number value. 00-38-city ​​code (operator)- the caller's number. Check the connection of the headset. Recruiting + subscriber number 38-city code. To help to, who knew how to call to Ukraine mobile, landline to mobile and fixed numbers, we place a reference to codes of cities Ukraine. Every summer a large number of Russians rest in Crimea. Many people use a local connection on arrival, because calls to extensions in Russia are cheaper. But how to gain Russia's number? It's simple. recruit +7, further phone number in the sequence, as it is written. Communication takes place automatically. or recruit 8-10- phone number without eights. 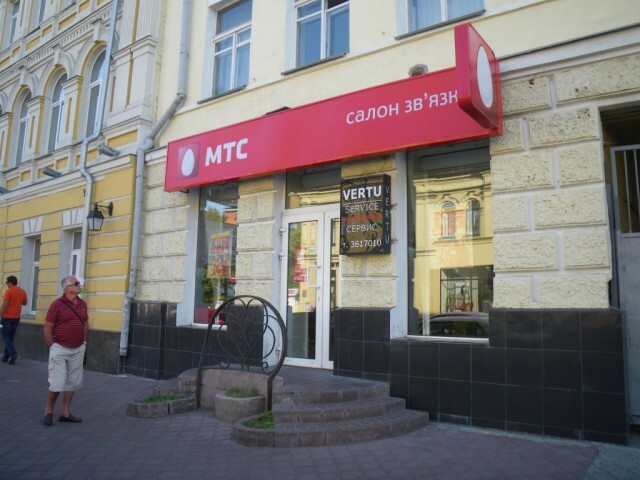 If you use the services of MTS in Ukraine, the dial in front of the subscriber number 000 – so your connection will be cheaper. If you decide to call on the Russian number, regardless of roaming, then on arrival in the country activate the network, in which the sum of an international call is charged a fixed. Many prefer roaming through the “Kyiv star” or “MTS”. Of course, the right decision would be the decision to buy the SIM card of the Ukrainian operator. But then do not forget before going to transfer phone numbers in the SIM card with the old. How view, in deciding whether, how to call to Ukraine mobile, landline to mobile, landline number, there are several options. Each in his own simple and accessible.